For close to 11 decades, the commercial enterprises and homeowners across the Cleveland and Northeast Ohio are have been the recipients of the exceptional workmanship and quality products from W.F. Hann & Sons. Long considered to be the source of excellence in heating, ventilation, air conditioning and plumbing services, W.F. Hann & Sons is distinguished for upholding the long-standing traditions of superiority. In fact, we have been ensuring the comfort, safety and infallible operation of our AC repair work, AC installation and AC service procedures since 1907. Residents and business owners understand that we are committed to providing the ultimate AC service to which they are entitled. Further we are capable of handling any malfunctions and restoring our products back to being fully operational at a price that won’t break our clients’ bank accounts. 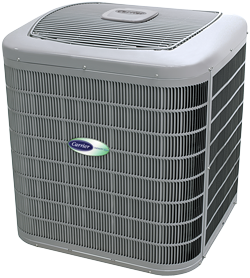 It makes perfect sense that whenever Beachwood residents are searching for unequalled AC repair, AC installation or AC service, the only name they need to know is W.F. Hann & Sons. Located in Cuyahoga County, Beachwood, Ohio has nearly 12,000 residents who call it home. W.F. Hann & Sons at 26401 Miles Road in Warrensville Heights is less than four miles south of Beachwood. Beachwood clients who need new AC installation, AC service or AC repair done, customarily contact one of the NATE (North American Technician Excellence) certified technicians at W.F. Hann & Sons. Our AC service specialists are top-of-the-line professionals who will ensure their Beachwood clients’ needs are all addressed expertly and promptly. We possess the background and experience necessary to assure customers receive their desired cleaner and healthier environment at a fair price. We endeavor to not only meet the expectations of our Beachwood clientele, but we are renowned for consistently surpassing them. With our state-of-the-art expertise, W.F. Hann & Sons can make sure that its customers receive the requisite AC service, responsible engineering and consummate product reliability they deserve. Client satisfaction is our fundamental goal, and we will always strive to tailor all AC installation systems to their precise needs and specifications. What is more, W.F. Hann & Sons has skilled AC service technicians who are fully-insured and licensed in AC repair, AC installation and AC service, in addition to being factory-trained prior to ever being sent into the field. You can always depend upon us to be both respectful and courteous. You can depend upon W.F. Hann & Sons technicians to live up to delivering the highest quality of workmanship for the comfort of your home and the smooth operation of your business. To schedule an appointment for AC repair, AC installation or AC service, call W.F. Hann & Sons, today, at: (216) 831-4200. Also, for any of those unscheduled and unexpected emergencies, we are available 24/7 to assist our valued customers.